Apple's iTunes Store began as a simple online music store but has quickly grown into a full-fledged marketplace for all forms of digital entertainment, including music, applications, books, TV shows, and movies. To support this growing media marketplace, Apple's licensing system allows users to authorize and play their purchased content on up to five computers at a time. Managing which computers may play your content, and linking them with your Apple ID, is a straightforward procedure. 1. Download the latest version of iTunes that's appropriate for your computer from the iTunes website. Try to avoid signing up for Apple's newsletter. 2. Click the Store menu, and then select Authorize This Computer. 3. A window will prompt you for your Apple ID and password. Fill in the appropriate information, and then click Authorize. 4. After your submission, your computer will be authorized for playback, and a dialog box will indicate how many computers you have currently authorized to access your Apple account. If you have reached your limit, it's time to deauthorize another machine. 1. Open iTunes on the computer you wish to deauthorize. 2. Open the Store menu, and then select Deauthorize This Computer. 3. A window will prompt you for your Apple ID and password. Fill in the appropriate information, and then click Deauthorize. Note: Make sure to deauthorize your computer before making any significant hardware changes. Otherwise, iTunes might regard the system as a new computer, and thus it will count against your limit. If you ever reach the five-computer limit, and you can't remember which systems you've authorized and which ones you can deauthorize, have no fear. 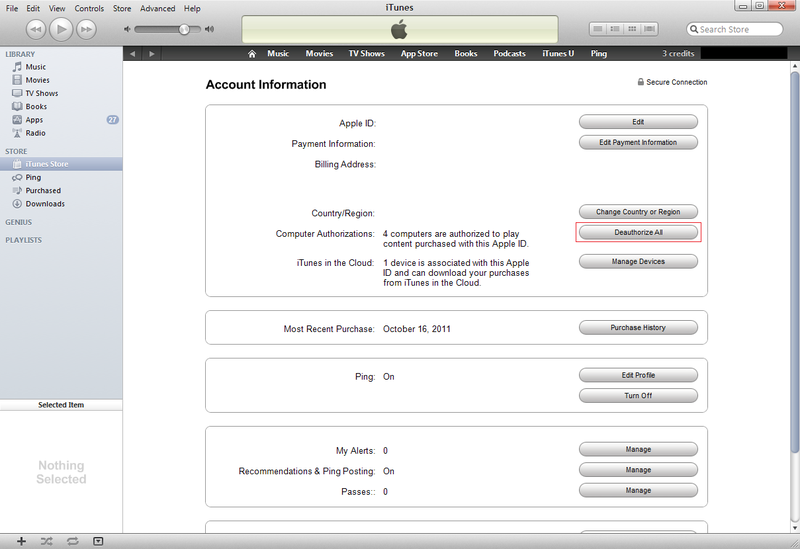 iTunes offers a fail-safe method of deauthorizing all machines registered to your account. You can do this only once a year; after you've deauthorized all the computers on your account, however, you can go back and selectively reregister the ones you're sure about. 1. 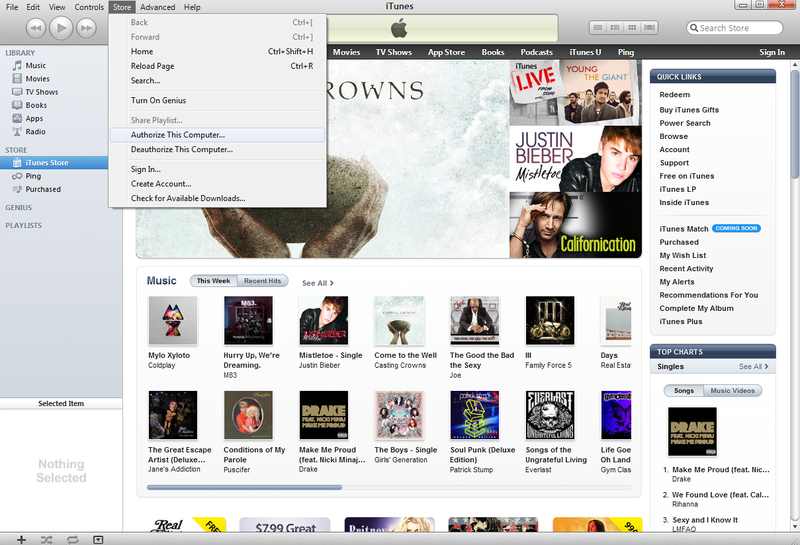 In iTunes, click iTunes Store within the navigation pane on the left. 2. Once the store is loaded, click Sign In in the top-right corner of the store window. 3. Input your Apple ID and password, and click Sign In. 4. Under the Quick Links section, click Account. 5. In the Account Information section, click the Deauthorize All button. 6. A confirmation window will appear. Click Deauthorize All Computers to confirm your choice. Select 'Deauthorize All' in the Account Information tab to deauthorize all your devices. Congratulations, you've imposed order upon the chaos that was your iTunes account registration! Enjoy your newfound freedom, and keep these instructions handy for the next time you upgrade or sell your PC.